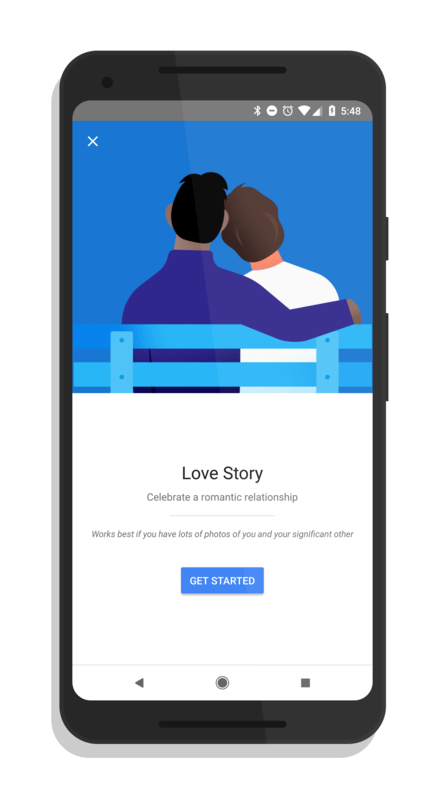 Google has added a new Love Story auto movie creation feature in the latest update to Google Photos. 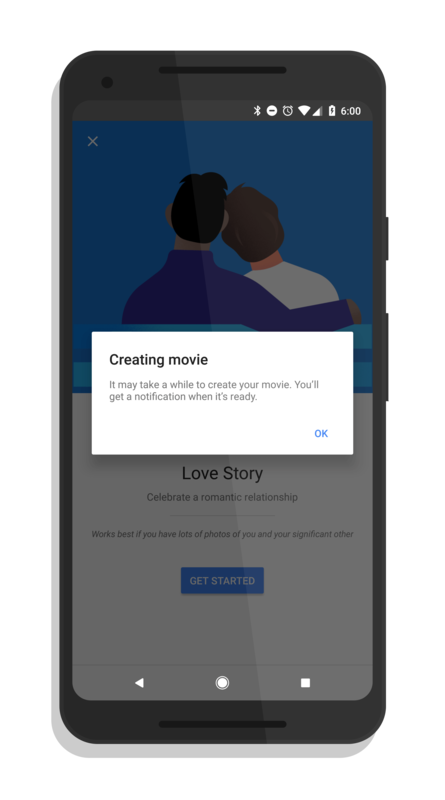 Like the other auto created movies, the Love Story feature is driven by Google Assistant which is deeply integrated into Photos. The update to bring this new feature is a combination of an app update, to version 3.23.0.200631752 for those keeping score at home, and a cloud-side update that is pushed to this updated app version. To get to the new Love Story feature, open up Google Photos then use the overflow menu (three vertical dots) to create a new movie. There you will see all of the different auto generated movie options along with the new Love Story. Once you select it, you will be prompted to identify the two people that you want in your movie. Once selected, tap Done and Photos will start working on creating your movie. Like the other auto created movies, Google Assistant will go to work on your Photos account and work on the video. You don’t have to keep the app open and, in fact, will be prompted that you will get a notification when it is ready for you to view. How long it will take will depend on the number of photos in your library and of the two people you have selected but generally, it is less than 15 minutes in most cases. The resulting movie is about 45 seconds in length and you can save it to your Photos library after it has been completed. If you haven’t checked out the other auto generated movies that Google Photos can create for you, spend some time checking them out. Generally I’ve found the results to be great and a lot of fun. For you cat and dog lovers out there, you will find an option just for you too.